When deciding where to locate your business, an incubator or co-working space may be the right decision for you. Incubators are unique in that they focus primarily on start-up and early-stage companies, providing all of the resources necessary to establish and build a successful business. Similarly, co-working spaces offer a location for independent workers and entrepreneurs who desire community and synergy by providing collaboration and basic office supplies. Incubators are typically industry-specific and provide a location for you to start your business with low overhead costs and a variety of other amenities. An incubator generally provides business mentoring, focusing on the development of strong business plans, financial management techniques, marketing strategies, networking activities, and funding opportunities. In addition, incubators provide a low-cost location with a variety of features ranging from conference rooms to answering services to laboratory research facilities. Co-working spaces provide a physical location to independent workers, such as freelancers and virtual workers who desire a sense of community and collaboration. In addition, meeting space and networking opportunities are typically available, as well as basic business necessities such as Internet access, printing and faxing, and office supplies. The Underground is a thriving entrepreneurial ecosystem offering solopreneurs, creative teams, and high-growth companies access to a mix of investors, creative collaborators, and work space. 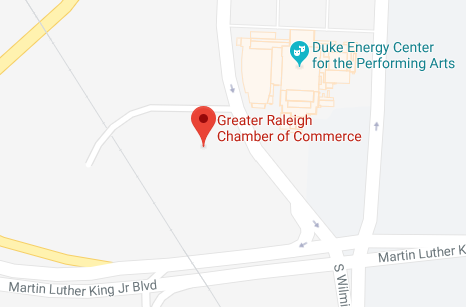 American Underground @ Raleigh will boast 25+ startups and be anchored by Bandwidth Labs, the incubator arm of Bandwidth, one of the world’s most cutting edge technology companies headquartered in Raleigh. Services: Co-working office space with private offices. Membership offers access to the community, discounts to CIC courses, programs, events and socials and provides access to exclusive CIC entrepreneurship events. Services: Nearly 20,000 square feet of affordable office and laboratory space with flexible lease terms, business and technology support services, management guidance, and counseling. Services: Rentable working space, receptionist, fast Wi-Fi, printer, copier, and conference rooms. Business incubator program made available through the Morrisville Innovation Foundation. Services: Professional office space; special member events; enterprise level wifi; print, copy and fax services; full service kitchen & fair-trade coffee; conference rooms and meeting space; business mail address & mailing services; onsite notary; and free parking. A membership service for women-led or women-focused entrepreneurial businesses. Services: offers virtual and on-site memberships including mentorship, workspace, events, and more. Business Incubator for Simulation, Gaming and Defense Technologies. Services: Affordable full-furnished office space, design studio and shared conference room. Services: Individual, private offices for lease with shared common areas. Fully furnished offices that are move-in ready with free Internet and use of conference rooms. Services: THINK TANK provides all the essentials you need for a productive day, including coffee, water, WiFi and more! Available at hourly, full day, and half day rates. Services: Open, shared coworking space as well as private locked offices, and a shared conference area with projector for larger meetings and work sessions.